Mayor Charlie Markham (1926-2010) was born into one of Durham’s earliest families. His father’s family was counted among the first citizens of Durham, and his mother’s father, Edward C. Hackney, served as mayor exactly a hundred years before Markham took the same office. Markham attended Duke University in the early 1940s. While a student, his interest in politics deepened as a reporter first for The Duke Chronicle, then for The Durham Sun. 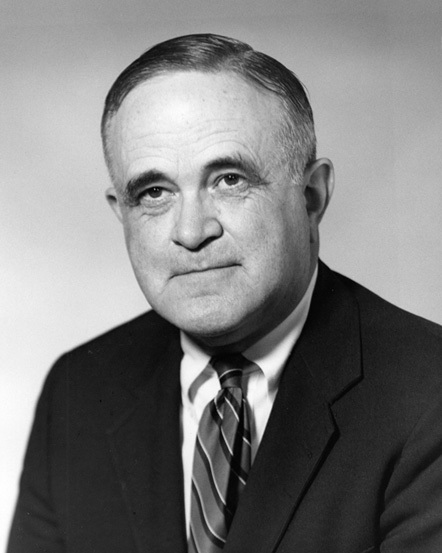 After graduating in 1945, Markham continued his studies at the University of North Carolina at Chapel Hill School of Law; he obtained his J.D. in 1951 at George Washington University. His legal career soon pulled him away from the Triangle area. For 20 years he worked as an attorney in private firms and in government departments in New York and Washington, D.C. He argued cases in front of the U.S. Court of Appeals and the U.S. Supreme Court, and in 1974 he became a professor of law at Rutgers University. It was his teaching career that brought him back to Durham, when he returned in 1976 to teach at North Carolina Central University’s law school, a position he held until 1983. In 1981, Markham was elected mayor of Durham. During his time in office he oversaw an early wave of downtown redevelopment, with the restoration of former tobacco warehouses to create Brightleaf Square and the development of the Durham Civic Center. After Wib Gulley defeated him in 1985, Markham continued to campaign for preserving Durham’s historic structures by serving as a trustee of Durham’s Historic Preservation Society and on the board of directors for Historic Stagville, a state historic site.